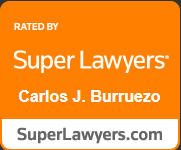 Home » Who does Burruezo & Burruezo represent in employee labor law cases? From doctors and attorneys to day laborers and accountants our clients come from a diverse range of backgrounds and education. The Orlando employment law attorneys at Burruezo & Burruezo, PLLC are skilled and experienced in all areas of employment law. Call us today at (407) 754-2904 to schedule a free consultation or contact us online. We have had the privilege of representing people from physicians to attorneys to accountants to laborers, so anyone who feels that they have been in any way not treated fairly in the workplace or somehow some law has been violated in the way they’ve been treated, we represent.